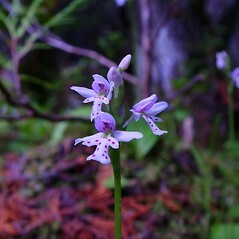 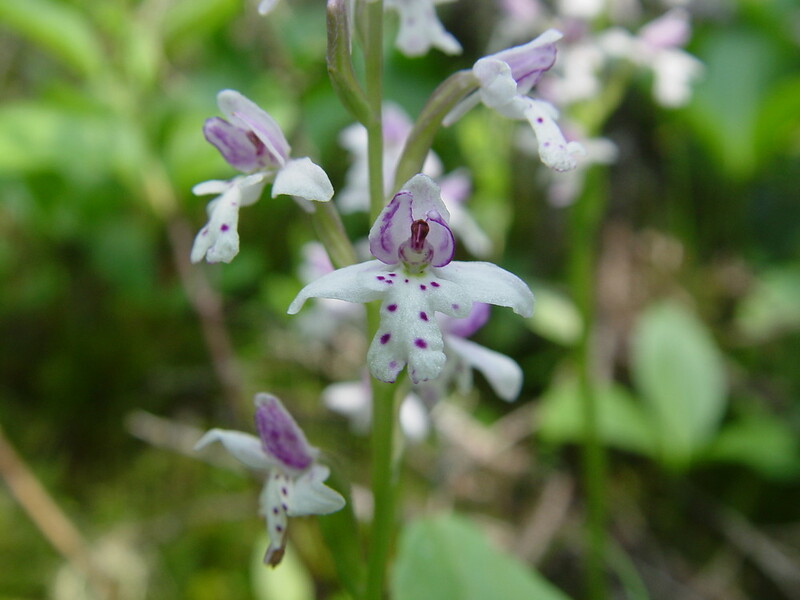 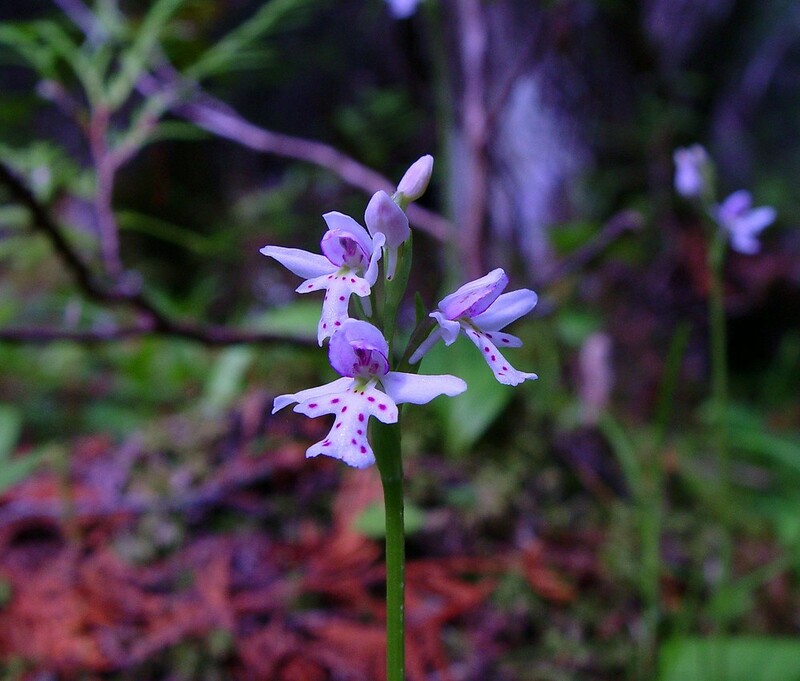 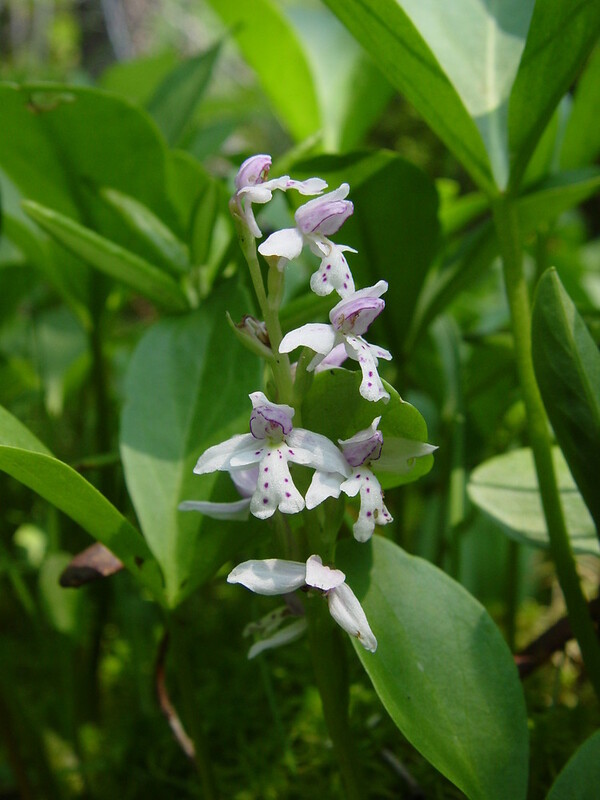 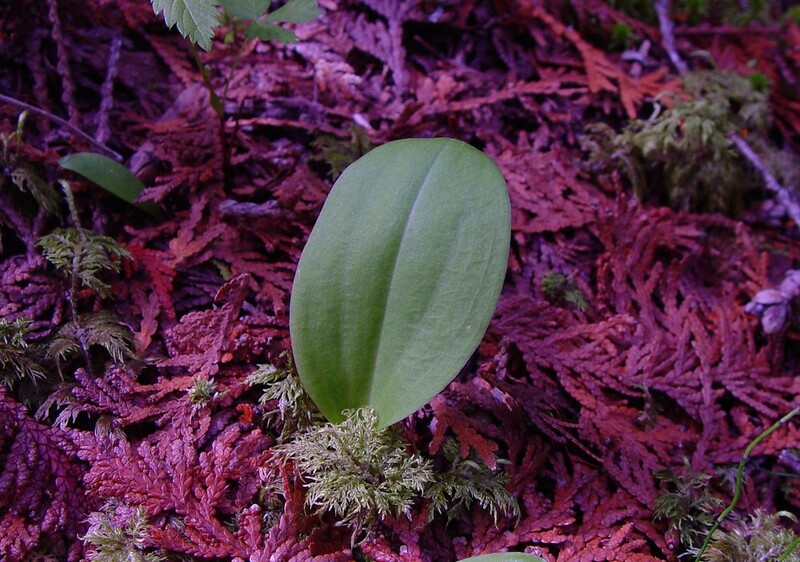 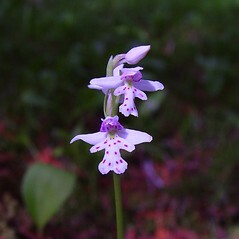 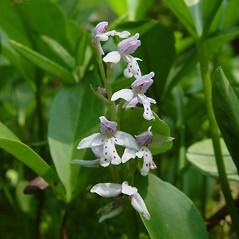 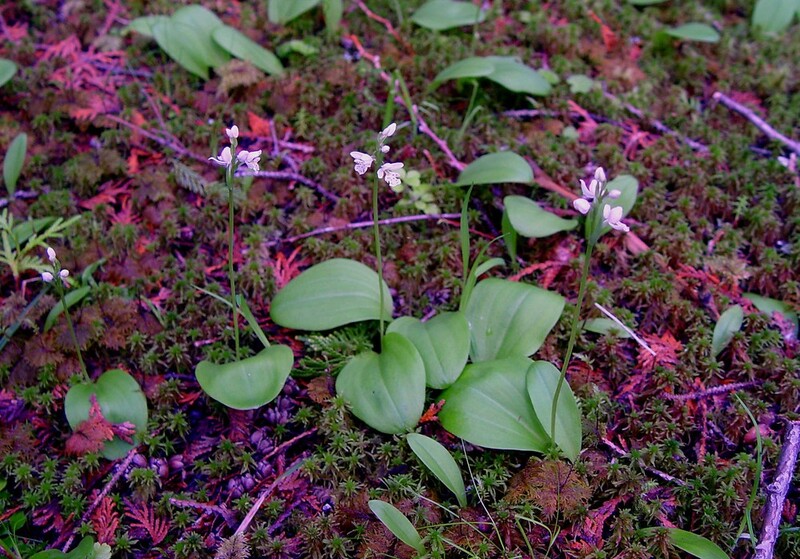 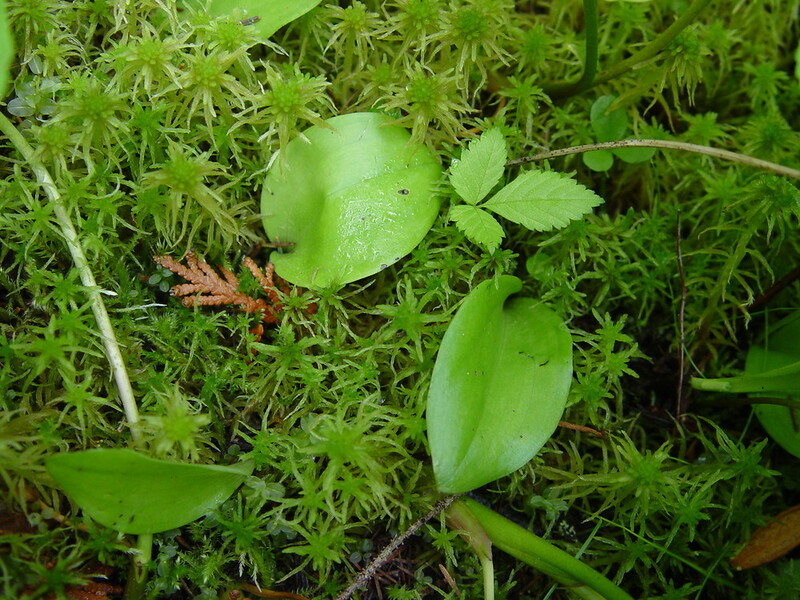 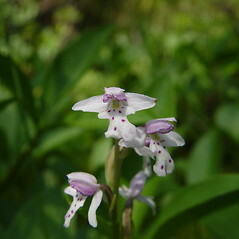 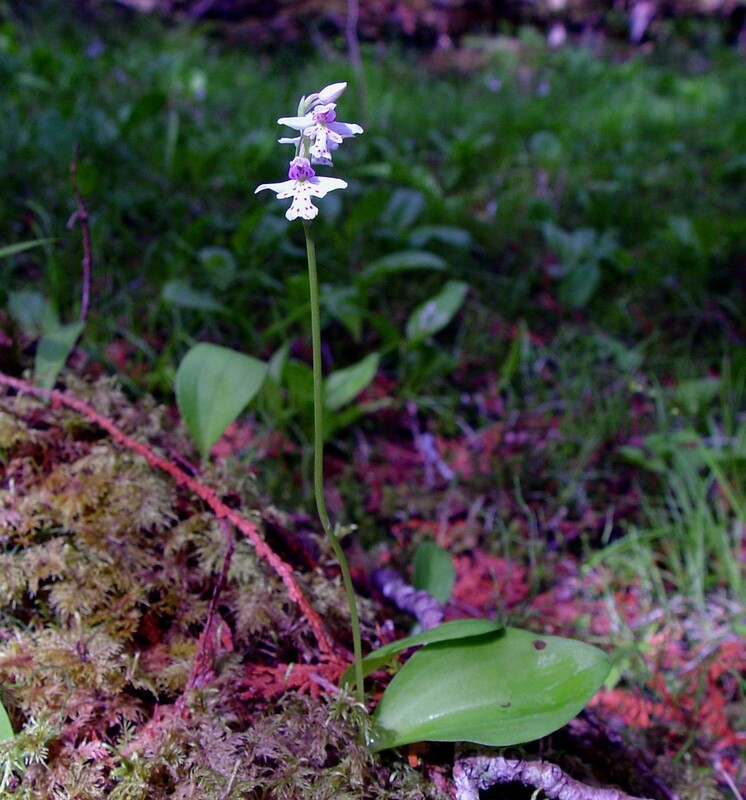 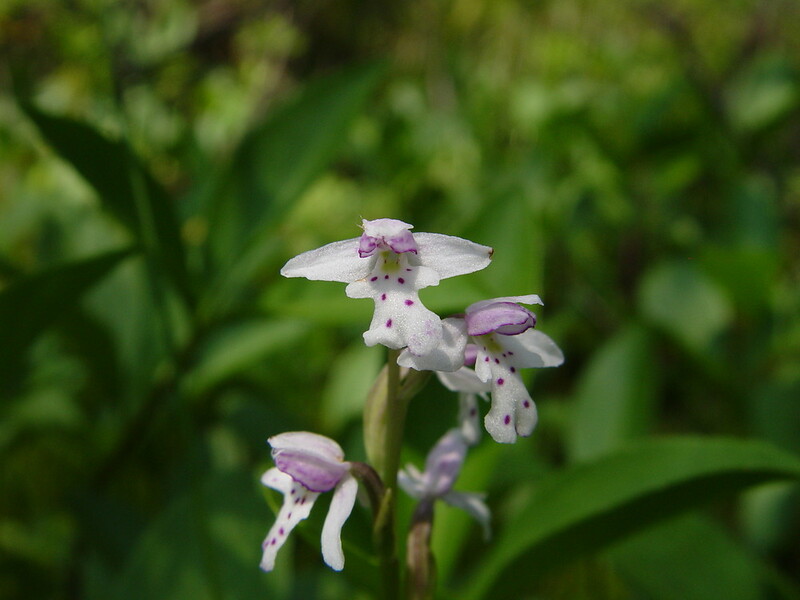 Round-leaved orchid is a rare inhabitant of high-pH swamps and fens, usually under northern white-cedar (Thuja occidentalis). 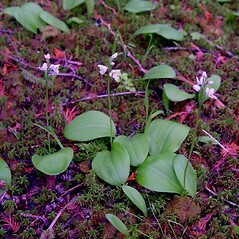 It is also found on Canadian and Alaskan tundra. 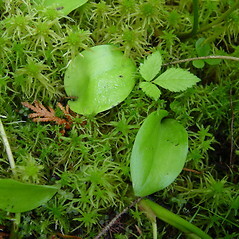 Within New England it is known from northern Maine, and has been collected in the past in New Hampshire and Vermont. 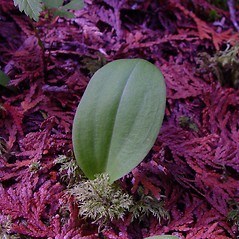 flowers with a nectary spur and plants reddish, with only bract-like leaves on the stem (vs. A. rotundifolia, with flowers with a nectary spur and plants green, with a broad, expanded green basal leaf). 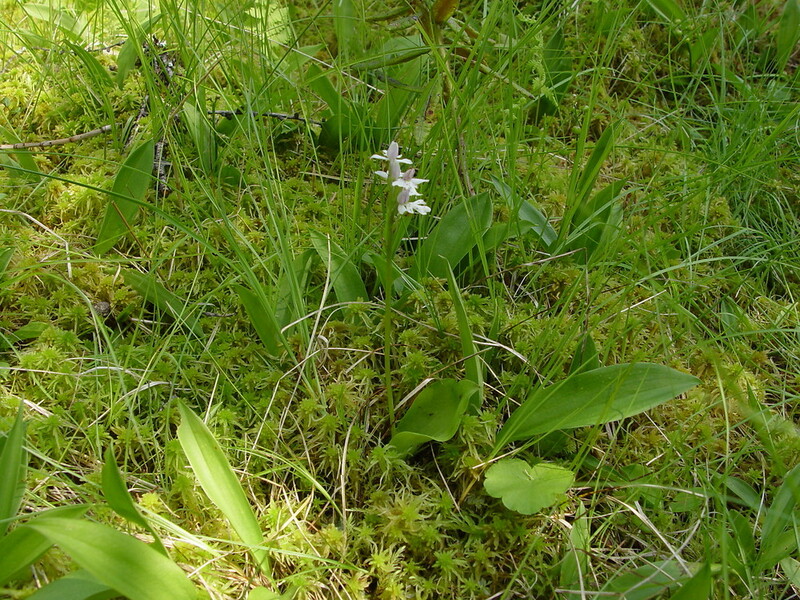 Habenaria rotundifolia (Banks ex Pursh) Richards. 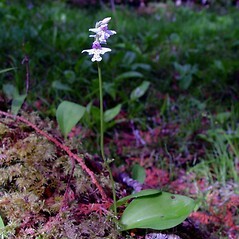 round-leaved orchid. 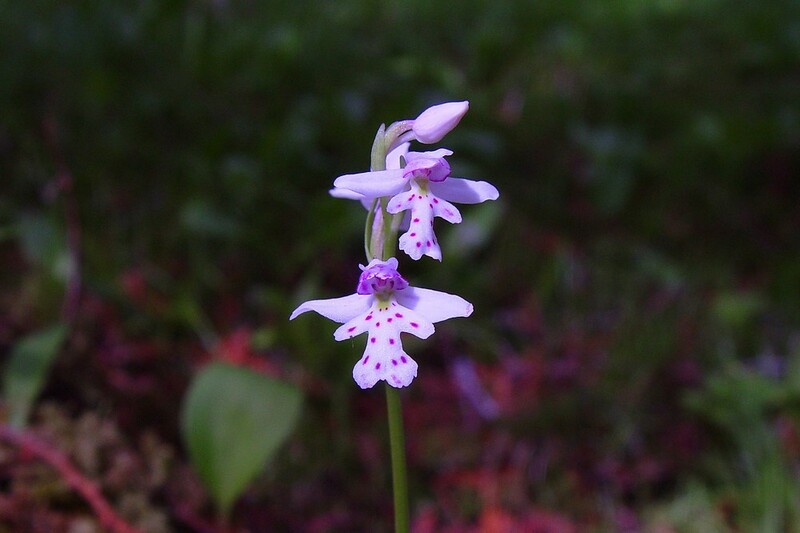 Galearis rotundifolia (Banks ex Pursh) R.M. 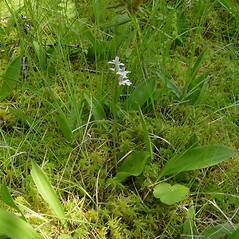 Bateman; Habenaria rotundifolia (Banks ex Pursh) Richards. 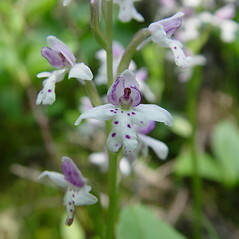 ; Orchis rotundifolia Banks ex Pursh • ME, NH, VT. High-pH swamps and fens, usually in the shade of Thuja occidentalis.